Here are a lot of hand drawn clipart illustrations of owls for everyday use as well as holidays, posing in various ways! 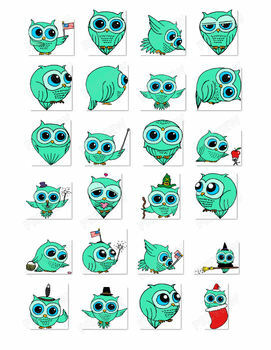 There are 148 colorful PNGs, including 24 unique owl designs in this package. 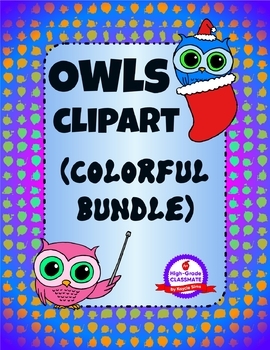 There are 5 different colors to choose from of each owl design, including blue, brown, pink, purple, and turquoise, plus black & white.